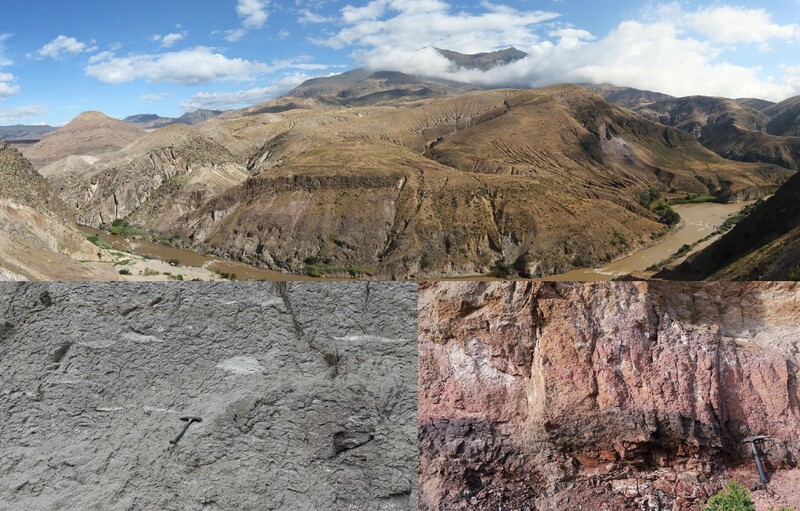 The southern sector of Ecuador (between 2°S and 6°S) has been characterized by intense magmatic activity in the period comprised between Oligocene and Miocene (Hungerbuhler et al. 2002). The volcanic sequence in the Pucará-Santa Isabel sector is composed by the Saraguro Fm. (26-21 Ma) followed by the St. Isabel Fm. (18 – 7.6 Ma) and closed by the Tarqui Fm. (6.3 Ma). These volcanic formations, made principally of welded ignimbrites, show large lithofacies variability (boulder size to lapilli size lithics, crystal rich to fiamme-rich ignimbrites) that reflects different PDC run-out and principally different sources. Stratigraphic and geomorphologic constraints allow to locate calderas structures (mean diameter 13 x 7-km) related with the Jubones and Santa Isabel ignimbritic eruptions. Fm. Jubones and Fm. Santa Isabel. Observation of fiammae and vithophyre. Photo by M. Mulas.